There was this long bench and the daughter of some friends was running towards my camera every time I pointed at her. It was like some kind of game for her in which she was supposed to shout and improvise some sort of attack. She came running like hell and I had to shoot fast and take the lens away from her. There was no posing, no strategy because we were playing games and we were accomplices. 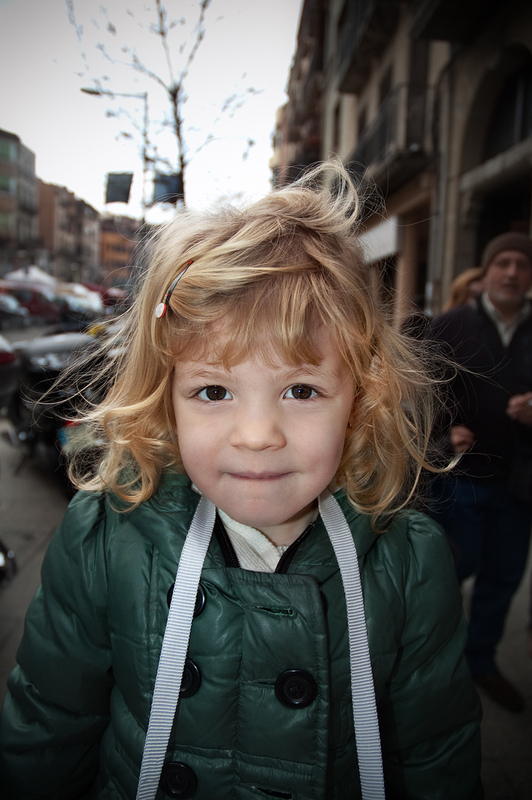 Complicity with the subject generates spontaneity and that is gold in kids photography, specially if it is a portrait. She's cute without being self-conscious. Excelente el enfoque,genial la luz,buena toma. She's a cutie pie! She caught you and you caught her! Fun!